Turkish referee Cüneyt Çakır has left hospital after being treated for a lung problem. The experienced referee had to be taken to hospital after suffering a pneumothorax during last weekend’s Super Leauge match between Gençlerbirliği and Karabükspor. The World Cup referee spent four days in hospital and is expected to return to training in 7-10 days. Upon leaving Çakır thanked the TFF and the hospital staff for their help and support. 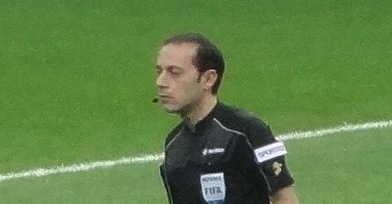 Çakır became the first Turkish referee in 40 years to officiate at a World Cup. He officiated three games in Brazil, including the semifinal match between the Netherlands and Argentina.